NBC will be presenting Adele Live in London on Sunday, June 3rd at 8pm. The one hour special marks the first time the Grammy winning singer will take part in a network special. According to NBC, the special will feature an exclusive interview by Matt Lauer as well as six performances from the singer’s “Adele Live at The Royal Albert Hall” (including “Someone Like You” and “Rolling in the Deep”). “We are thrilled to partner with Adele on her first-ever network special and are excited to give our viewers an opportunity to see this truly phenomenal artist perform live, in her hometown, from the historic Royal Albert Hall in London,” stated Doug Vaughan, SVP of Special Programs and Late Night for NBC. 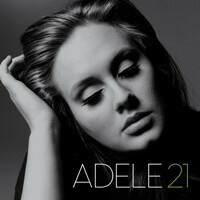 Named as Billboard’s and iTune’s “Artist of the Year,” Adele has also been featured as one of Time Magazine’s “100 most influential people,” and Entertainment Weekly’s “Entertainers of the Year.” Her latest CD, 21 has sold over 22 million copies worldwide to date and was the #1 Album of 2011 and #1 best-selling digital album of all time. An eight-time Grammy winner, Adele is only the second artist in Grammy History to have won The Recording Academy’s top three categories, “Record of the Year,” “Album of the Year” and “Song of the Year,” while also possessing a “Best New Artist” Grammy. In 2012, Adele swept the Grammy Awards, winning each of the six Awards she was nominated for including: Record of the Year (“Rolling in the Deep”), Album of the Year (21), Song of the Year (“Rolling in the Deep”), Best Pop Solo Performance (“Someone Like You”), Best Pop Vocal Album (21), and Best Short Form Music Video (“Rolling in the Deep”).